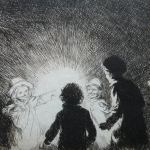 Eileen Alice Soper ( 26 March 1905 – 18 March 1990) was an etcher and illustrator of children’s and wildlife books. 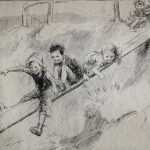 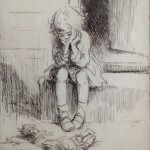 She produced a series of etchings mainly of children playing and illustrated books for other writers, notably for Enid Blyton and Elizabeth Gould, and wrote and illustrated her own children’s book. 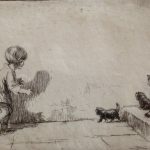 Some of her illustrations of children and animals were used in a china series for children by Paragon China in the 1930s. 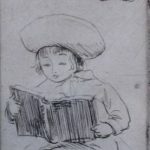 Later in life she concentrated on writing and illustrating wildlife books. 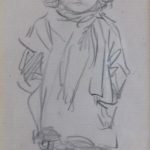 She was a founder member of the Society of Wild Life Artists (SWLA) and was elected a member of the Royal Society of Miniature Painters, Sculptors and Engravers (RMS) in 1972. 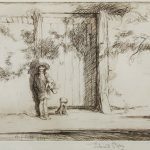 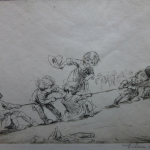 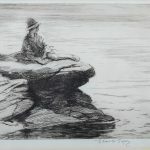 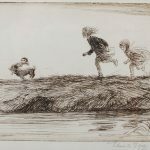 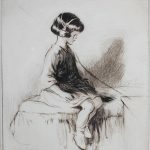 Her 1st etching exhibited at the Royal Academy was in 1921 making her at the age of 15 the youngest ever exhibitor, two of her works were seen and bought by Queen Mary.